My college buddy Chris turned me on to the Punch Brothers a year or so ago. Chris is one of those guys who adds artists to his music library with great deliberation, which makes his collection rather small but extremely high in quality. I love it when I get his recommendations. Chris: I can't thank you enough for turning me on to these guys. Sunday night may have been the best concert I’ve ever seen. Before Chris told me about them, I was already familiar with their mandolin player Chris Thile (pronounced thee-lee) through his early success with Nickel Creek. Since then, Thile has gone on to work on various projects, including The Goat Rodeo Sessions, Thile and Daves, and an entire album of Bach partitas with more to come. He was awarded a MacArthur “Genius” Grant in 2012 at age 31. My fiancé Andy, a fabulous drummer, discovered Punch Brothers independently and was excited to tell me about this band whose rhythms were outta this world. So, when I saw they were coming to the Clay Center in Charleston, WV (about 90 minutes from Marietta), I snapped up tickets, and some friends decided to join us. As we walked into the Clay Center, which is a huge, beautiful space worthy of large musicals and operas, I looked at the stage and saw a few rugs, 5 mics, and a minimal pedal board at each mic. You don't need spectacle with music this good. 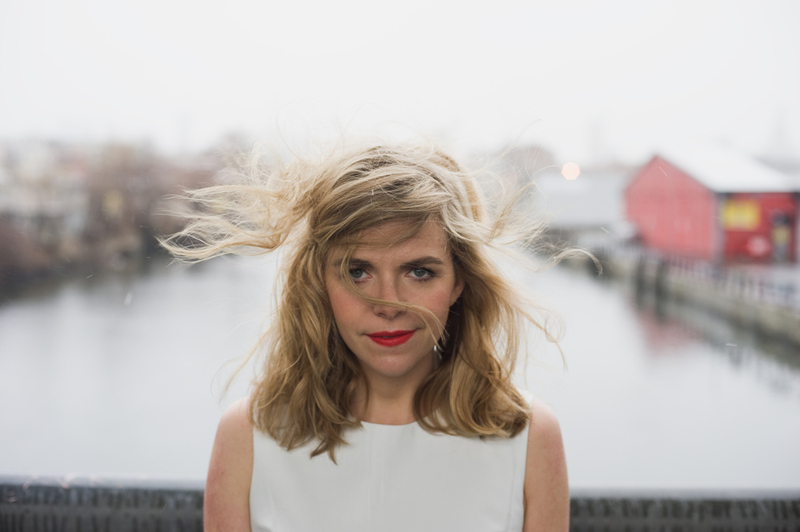 Opener Aoife O’Donovan (pronounced “ee-fuh”) charmed us with one of the easiest, sweetest, most free voices I’ve heard in a long time. Beautiful melodies, great rhythmic and harmonic surprises. I quickly added her to my music library during the break before the Bros. came on. When the lights went back down, the guys entered dressed in sharp suits. They went straight to their mics and began weaving together their haunting cover of Josh Ritter’s song “Another New World.” Every instrument contributed to the texture with such technical and expressive prowess. As each tune that followed was played, it quickly became clear that every player (each of whom also sang) was just as good as the next. Their collective performing, composing, and arranging skills blew me away song after song. The shape of the concert itself was expertly crafted. We were taken up and down and everywhere in between through a synthesis of stories, meters, genres, harmonic structures, and melodies. Nothing was overused. The balance between head and heart was masterful. Some song highlights for me included "Hundred Dollars," "Movement and Location," their note-for-note arrangement of Debussy’s “Passepied,” and the song “Heaven’s a Julep On the Porch,” which took me to another space entirely. While the interaction between the band members was consistently fun to watch, I especially loved watching Chris Thile embody the music. I've always struggled with that as a singer, and it was beautiful to see someone do it so naturally. His body was perfectly partnered with the sounds I was hearing, seemingly rooted in sheer bliss. The music and the body were one. I was taken back by just how much that elevated my experience as an audience member. My favorite things about Sunday night? (1) Seeing a group play an old country and western tune with the same joy and mastery as a Debussy piece, and (2) being part of an audience who loved all of it, too. 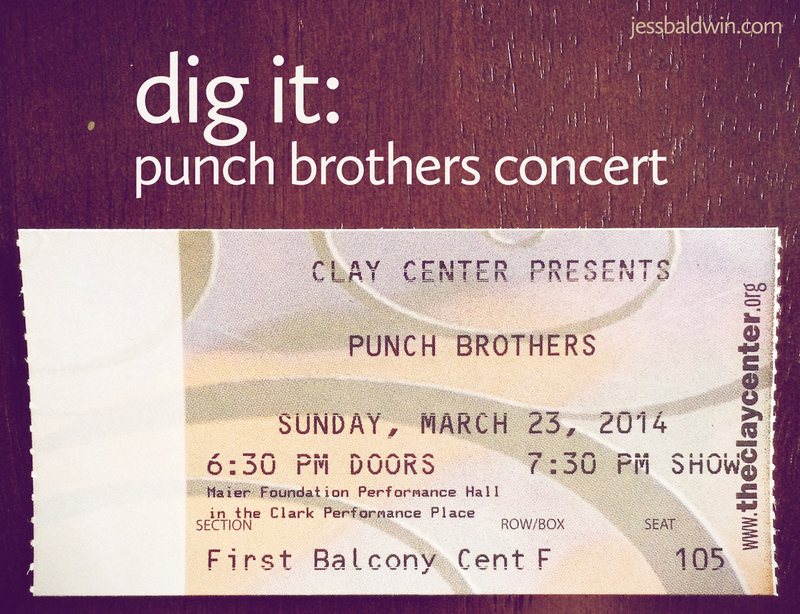 That won't be my last Punch Brothers concert. Any thoughts or experiences about the Punch Brothers? Leave them in the comments.